On a recent Called to Coach, we spoke with Tiffany Saulnier about the new CliftonStrengths 34 report that will be available in October, along with other changes to Gallup's CliftonStrengths offerings. Tiffany explained how the new "all 34" report will help coaches add depth to their coaching, and what they can expect as Gallup continues to revise and update its CliftonStrengths offerings over the months and years to come. Tiffany is the CliftonStrengths Brand Manager at Gallup. Host Jim Collison: Tiffany Saulnier is my guest today. Welcome to Called to Coach! Tiffany Saulnier: Thank you, Jim! JC: Lots of folks are excited about our all 34 report that’s coming out. Tiffany, the reason we had you here today was to give folks a lot of information about this. I think this is the first time we’ve gone external with this. TS: Jim, you’re absolutely right. This is the first time we’re sharing the new 34 report publicly. So we are super excited to share this, and I’m here on behalf of a large team of people who have come together to create this brand-new CliftonStrengths 34 report. So I’m going to share some slides and demo the report. So your main question will be, “When can I get this report?” Those of you who came to the CliftonStrengths Summit this summer may have seen a “sneak peek” at the report. And we’ve been saying “fall 2018” but now we have a specific date. This new report will go live across all of our Gallup platforms on October 24. So, the first slide is “Why the Change to CliftonStrengths 34?” We know as coaches the power of understanding all 34 of your themes -- all of your most powerful talents, plus the areas that “aren’t you.” We’re not losing the power of the Top 5 -- it’s still the most powerful part of your 34 -- but we know it’s only the beginning, and understanding the full 34 gives you a complete roadmap for success. How can CliftonStrengths 34 deepen your coaching? In this new report, you have some new knowledge around themes 6-10, and you have some new knowledge about the themes at the bottom of your report. So with the new CliftonStrengths 34, you will automatically get all 34 of your themes on October 24. And all past purchasers of 34, this will be unlocked, and then for all future purchasers of 34. It will initially be available in English only, but will expand into other languages. And the new Your Awakening module will be available with your CliftonStrengths 34. The new 34 report is a one-stop shop for all things CliftonStrengths. It’s a self-paced coaching guide versus just a report. So you as a coach can tell your clients to check out their own 34 report; this will maximize your time as a coach. The report has an entire section devoted to the four CliftonStrengths domains. So there is some existing content, some updated content and some brand-new content. And it comes with an introductory video that will walk you through the new report. The report starts with a one-page snapshot of your results, including your talent DNA and your most dominant domain. The next page talks about unleashing the infinite potential of your Top 5. Then the report talks about your 6-10 themes. Each of your Top 5 themes has two pages devoted to it, which includes the domain it’s part of, and some tweaks in the theme definitions. Then we have five strengths insight/action statements that are personalized. On page 2 there is a “Power and Edge” statement, and then a Take Action section. These have been refreshed from our existing action steps. And then there is a section on possible “blind spots” for your theme. For themes 6-10, each one has a talent DNA section and the domain it’s part of, a definition, the “Power and Edge” statement, and then three action statements. And then there is the “blind spots” section. This is a good place to pause, Jim. Any questions that came up in the chat? JC: Yes, we have questions. What will happen to the existing 34 report on October 24, and what about the other languages? TS: Great questions. So the existing 34 reports will continue in all languages except English (and the English report will be available on October 24 to all users). Then, as we translate the new reports, those reports will replace the old ones. JC: So the analytics, are they going to be based on the Top 5 or all 34? TS: It’s going to be for all 34. JC: When do we plan to push the new content into our training? TS: We plan to infuse this into CliftonStrengths Discovery by the end of 2018, and then next year into our Accelerated Strengths Coaching course, our Successful Strengths Coaching course, and some new content coming out. JC: Will the report be available in the app? TS: That’s the goal; we’re working on that with our mobile team, but not sure of the date it will be available. JC: If I am a coach and bought a code, will this show up as one of the reports or will they have to share it? TS: It will follow the same process that is followed now. If you need those you coach to share this with you, you’ll need them to share this new 34 report with you as well. JC: For folks who have Top 5, will they still have the Insight report? TS: So with Top 5, the Signature Themes report and the Strengths Insight report will remain, so no, it’s not going away for Top 5. JC: Let’s have you go to the next phase of the 34 report. TS: So we’ve gone on this Top 10 journey; how do I navigate the rest of my themes? We’re now focused on the second half of the profile, themes 11-34. So you may ask, “Tiffany, are my bottom 5 themes a weakness?” No, not necessarily. They can be, but that doesn’t mean they are. And then we have information on the entire theme sequence and we have an entire page on “What Is a Weakness?” We define “weakness” as something that gets in the way of your success. CliftonStrengths does not mathematically quantify weaknesses. Your top themes can be potential weaknesses, and so can your bottom themes. Jim, any questions? JC: Just one -- What are we going to release to coaches after the webcast as far as some examples and materials? TS: Jim is going to make publicly available to you a PDF version of a PowerPoint deck with screen shots of the new 34 report. Feel free to download this and to share it with your clients. We’re not releasing a demo report publicly, and there won’t be early access to your report (it will release on October 24). JC: OK, let’s keep going. TS: Let’s talk about CliftonStrengths domains. How do I identify what is my unique contribution? That is the next section of the 34 report. And then on the second page of this section, we bring in the new personalized algorithm. At the bottom of the page, we have a “periodic table” of elements that bolds your Top 10 themes and organizes them by domain, in alphabetical order. Now, to wrap up, what do I do next? We have a “Take Action” page. At the bottom of the page, for each of your Top 10, we’ve pulled out action steps for each one. This separates CliftonStrengths from the other psychometric assessments and frameworks. And then the report finishes with an appendix with your full CliftonStrengths 34 themes in order. So that unpacks the entire report. Jim, what other questions are there? JC: Tiffany, an all 34 report for teams -- talk about that. TS: There’s a lot packed into the existing 34 report that you can leverage with your team. But teams is an area that’s at the top of our priority list, in terms of development. JC: Tiffany, any further plans for further webcasts on this as it’s implemented for teams? Any further plans for training? TS: We do have plans for a public webinar once the report goes live. That will be included in the Coaches Newsletter; it will probably be sometime in November. It will be free; you’ll need to register and have your new 34 report available for that. And Jim, I think we can do some more Called to Coaches on this in 2018 and 2019. JC: I unlocked my all 34 yesterday and have my results, but don’t see this new report. Will the new report be available to me only if I buy it on October 24 or later, or will I have access to it? TS: It will be unlocked on October 24. If you bought it three years ago, or today, or tomorrow, or on or after October 24, it will be unlocked for you. JC: Anything further you want to talk about as we wrap this up? TS: I’m getting some questions about “blind spots” and our decision to use that term, plus other terms. We have a slide dealing with that plus “Balconies and Basements” -- but these terms don’t translate internationally, so we will be phasing this out. We do still use the concepts of “Help and Hinder.” And this slide deals with “raw” and “mature” -- so this slide clarifies our terminology. JC: We’re talking about release on October 24, that will be by the end of the day (in the U.S.), and so it will likely be October 25 in Asia. I’d encourage you to pull the 34 down on the day the new reports release. On Top 5, nothing changes for now -- same report. Tiffany, you want to highlight any other changes? TS: Hopefully everyone has downloaded the e-book, but just a reminder, the e-book is unlocked only with the CliftonStrengths 34. As we come out with the new materials, we’ll be sunsetting some things. You will notice one change about Top 5 -- with Signature Themes and Strengths Insight reports still available now; but the Strengths Insight and Action Planning Guide will be going away to simplify and streamline things. JC: And there’s still an Action Planning module available. Bear with us, I know we’re changing some of the ways you coach, and it’s painful -- I totally get that. And some folks are asking -- Gallup Strengths Center vs. Gallup Access -- and I would say the future is with Gallup Access. Anything else you would add? TS: As you think about Gallup for the future, many of you are part of client organizations that are part of a legacy system, Gallup Online. And some of you have been involved with CliftonStrengths for Students. Our goal is to simplify the user experience, and provide all of the tools and resources you need, and to streamline those under one technology platform that is built for us for the future. JC: Be patient with us. We are moving more and more things to Gallup Access. Just a reminder, this whole presentation will be in a PDF, going to the Certified Coaches Facebook group first. If you aren’t part of that, I’ll add you to the list (jim_collison@gallup.com) -- or even if you want me to just send it to you, send me an email to this address. Then I’ll put it into the Called to Coach group early next week. TS: When it comes to certified coaches, over the next few weeks, we’re finalizing our new coaches’ discount for 2019. So make sure you are connected to all of our communications for our certified coaches. Jim will make sure it’s communicated to everyone as far in advance as it can. TS: Just continue to give us your feedback and, once October 24 arrives, how the new 34 report is affecting you, and what you would like to see from us. We are always listening to your feedback. 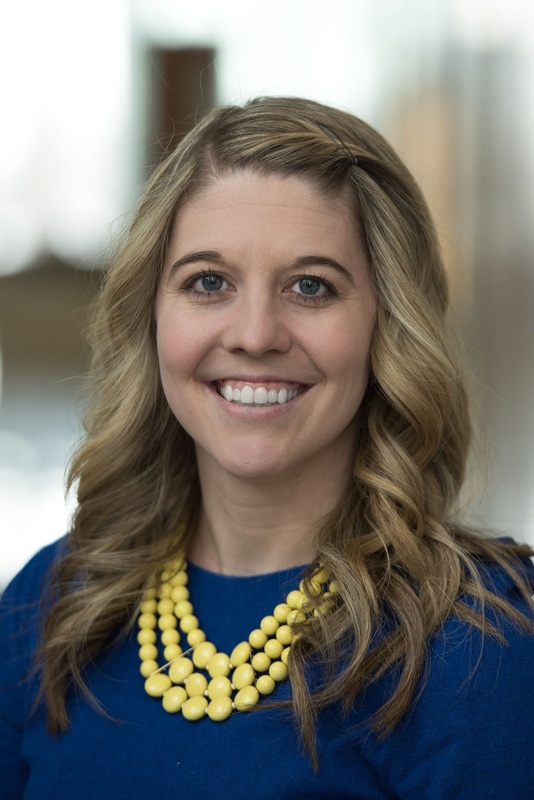 Tiffany Saulnier is the CliftonStrengths Brand Manager at Gallup. She leads a cross-functional team in developing the growth strategy and ownership of product development for everything CliftonStrengths. As a Gallup-Certified Strengths Coach, Tiffany creates meaningful learning experiences and fosters deep coaching relationships to build on individual potential, elevate team performance and harness organizational capability to drive change. Tiffany Saulnier's CliftonStrengths Top 5 are Achiever, Responsibility, Competition, Woo, and Activator. Great job, love the new report.